Lake Tahoe Keys – Lake Tahoe Communities – The Tahoe Keys located in South Lake Tahoe is an extraordinary private marina resort comprised of 740 acres with eleven miles of inland waterways intertwined throughout. The Tahoe Keys located in South Lake Tahoe is an extraordinary private marina resort comprised of 740 acres with eleven miles of inland waterways intertwined throughout. Most homes in this highly sought after community have cozy fireplaces and are located on enchanting lagoons, canals or the Tahoe Keys Marina with their own private boat dock. Residents enjoy unrestricted stunning mountain and lake views with direct access to Lake Tahoe and its numerous water sports. The Keys Homeowners Association membership comes with access to volleyball and tennis courts, heated indoor and outdoor pools, spa, private beach and several lakeside parks. Centrally located to; Heavenly Ski Resort, Kiva Beach, Emerald Bay State Park, Tahoe’s top rated casinos and longtime local favorite restaurant, The Fresh Ketch. The Tahoe Keys provide easy access to boating, hiking, biking, fishing, skiing, golfing, parasailing, fabulous dining, year-round nightlife and much more. Are you an owner or resident of Lake Tahoe Keys? Join your neighbors in this exclusive online forum and you will receive customized news, updates and a personalized newsletter so you can stay up to date on everything that is happening in Lake Tahoe Keys. You are already fortunate enough to call this amazing community home so why not extend that benefit online? Join this exclusive online community and connect with your friends and neighbors like never before. Registration is free and easy so use the form on the right to get started! Not an owner or resident of Lake Tahoe Keys? No problem! If you would like to get more information about purchasing in our community and seeing firsthand what makes Lake Tahoe Keys such a special place, please complete the information request form. 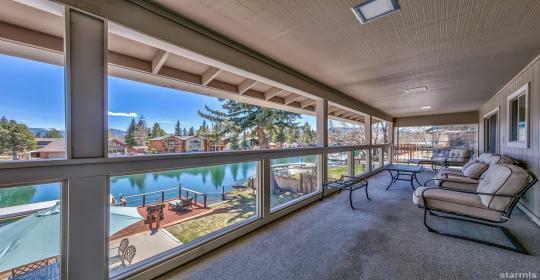 2254 BALBOA DRIVE | TAHOE KEYS | SOUTH LAKE TAHOE , CALIFORNIA Direct water-access home with both a shared pier and an additional boat slip in the marina. Single-story on a corner lot with easy walking access to community clubhouse, tennis, pool, pier, and beach.